For all that music and beer go together hand in hand, the beer on offer at gigs – certainly at the country's larger venues – has tended to leave a lot to desire. Sure, you might come across the odd tap or can of Mountain Goat, Brooklyn, Coopers or Young Henrys, but, for the most part, once you step outside band rooms attached to pubs or hotels you can be pretty certain the choice of beer isn't going to live up to the quality of entertainment on stage. At Forum Melbourne, however, craft beer lovers are in for a treat. The iconic venue on the corner of Flinders and Russell Streets recently underwent a major refurbishment – walls were removed, bars were upgraded, new booths were put in, adjustable floors were added, the night sky complete with stars above the Ancient Roman inspired stage setting was fixed up, and so on. The improvements make what was already regarded by many as the best gig venue in the city even better, especially if you're after something tasty in your (plastic) glass. Before the new floor was put in, the owners brought in diggers and created a keg room underneath to feed a new tap system. It's one they paid for themselves so they have total control over what pours through the six lines feeding multiple taps throughout the 2,000 capacity main room. And what that means is you'll find nothing but Victorian brewed beers on tap. Last weekend, for Cash Savage's joint headline gig with Camp Cope, the choice at the Brutus Bar (named after the backlit bust framed behind the taps) was between Napoleone Brewers' Porter, Temple's Bicycle Beer, Bridge Road Brewers' Bling IPA, Two Birds Brewing's Sunset Ale, Moon Dog's Love Tap and Mountain Goat's Pale Ale, with only the last of these not locally, independently owned. In the fridge were cans from the likes of Mornington Peninsula Brewery, Young Henrys and 4 Pines (alongside Furphy and 150 Lashes cans for those alien to craft beer). What's more, if you were among the first 50 through the door, a Bridge Road rep was on hand with free Bling IPA. 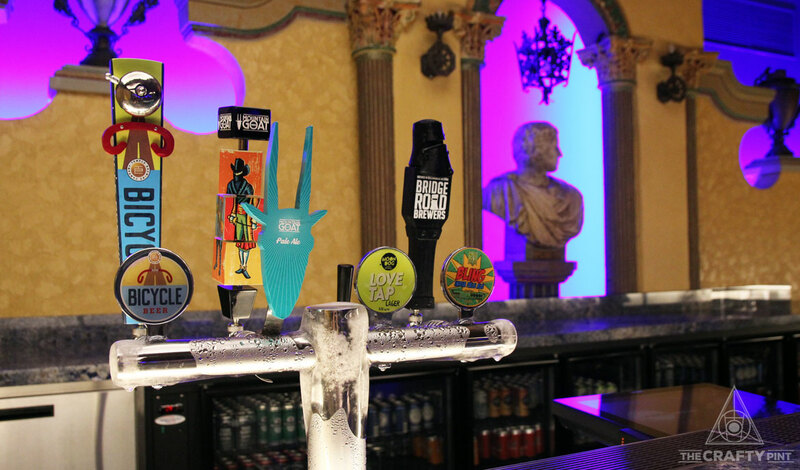 "We spend millions and millions on beer and wine every year," says Steven Downes, director of hospitality for the Marriner Group, which operates Forum Melbourne as well as the Plaza Ballroom, Regent Theatre, Comedy Theatre and Princess Theatre. "We are a family business at the end of the day and our ethos is always to try to support other family businesses." Steven oversaw the changes to the beverage offering alongside Philippa Chalke (pictured above), assistant manager of hospitality for the Marriner Group. "The opportunity came two years ago when we were told we would be renovating and were asked what did we want," says Steven. "Philly got her time to shine." "Et tu, Brute?" "IPA, cheers, Caesar." Four of the six beers on offer at Forum Melbourne's Brutus Bar. They decided to put in their own beer lines, in part because a number of promoters didn't want glass to be served at events; at the time, even as recently as two years ago, cans were still fairly scarce. 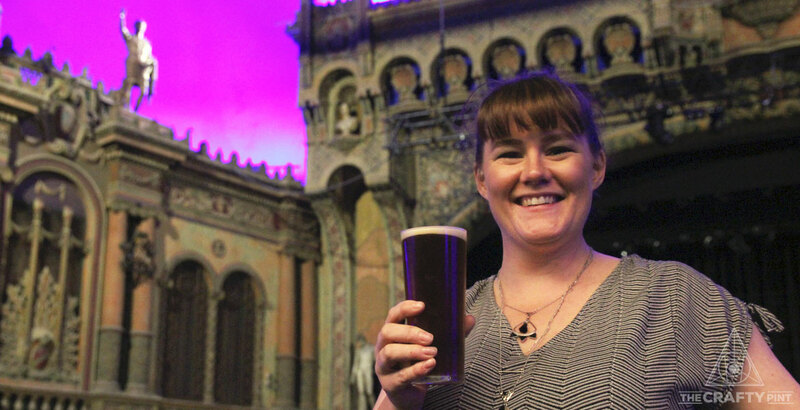 Having decided to introduce draught beer, Philippa – who Steven calls "The Queen of Crafties" – started taking her colleague to breweries around Melbourne and Victoria to meet the owners and brewers and try their wares. "She had me traipsing around Abbotsford and Spotswood and East Brunswick," he says, pointing out that he can no longer just order "a beer" like he once would, but now pays as much attention to his selection as he's long done with wine. "We went to meet all that we could until we got to the stage we couldn't make a decision as there were too many amazing breweries. We just had so much fun meeting these amazing people – the personalities are just incredible. "They all want to help. They want to help educate too." And, when it comes to education, the Forum team is on the ball too. Guided by the rule: "If you don't know it, you can't sell it", they regularly train staff on all products they'll be selling, inviting them to come up with the three terms they can use to describe a beer or wine to gig-goers quickly at a busy bar. Keeping things moving informed the decision to cap the number of lines at six too. 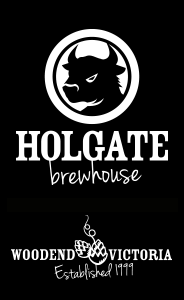 "We'd have loved to have 18 taps on, but we've got 2,000 people in here," says Philippa, "so we wanted enough to have a range on offer but not slow service too much. "We've been changing things as we go along and don't have contracts with anyone." It's a refreshing and rare attitude. We asked contributors and friends in the industry around Australia for other examples and there appears to be no music venue anywhere close to the size of the Forum with more than a token craft offering (although if you know of any, we'd love to hear about them). Step down to those with a capacity of several hundred and you can find something to satisfy at places like the Landsdowne in Sydney or The Triffid in Brisbane, but it's slim pickings. The Forum's new look offering is the culmination of a process that began when Steven and Philippa started noted down the dates that all existing beverage contracts across the Marriner Group were due to expire. "It wasn't so much with beer at the beginning because I was more into wine," says Steven. "I used to cringe at some of the wines we were offering." The iconic Forum Melbourne. Photo (c) The Marriner Group. Today, they support small Victorian wine producers – with one exception: a winemaker from the Riverland in SA whose ethos and wines they loved so much they couldn't resist – and have reaped the rewards. Not only are customers loving the new beer offering, they've seen wine sales treble too. Whatever transpires, the commitment to supporting local brewers appears set in stone. 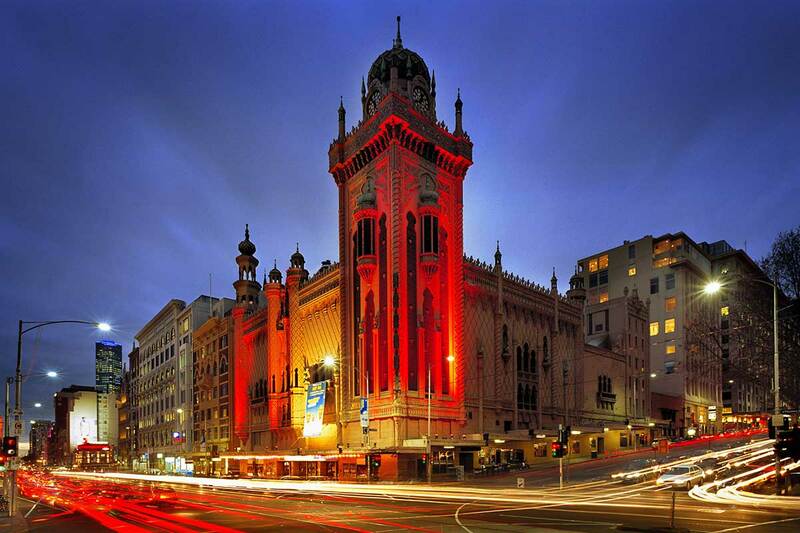 Forum Melbourne is on the corner of Flinders and Russell Streets. You can read our article on beer at music festivals – both in Australia and overseas – here.